AT THE SLOPES SKI IN SKI OUT TO YOUR DOORSTEP!! HOT TUB, POOL TABLE. SLEEPS 20! 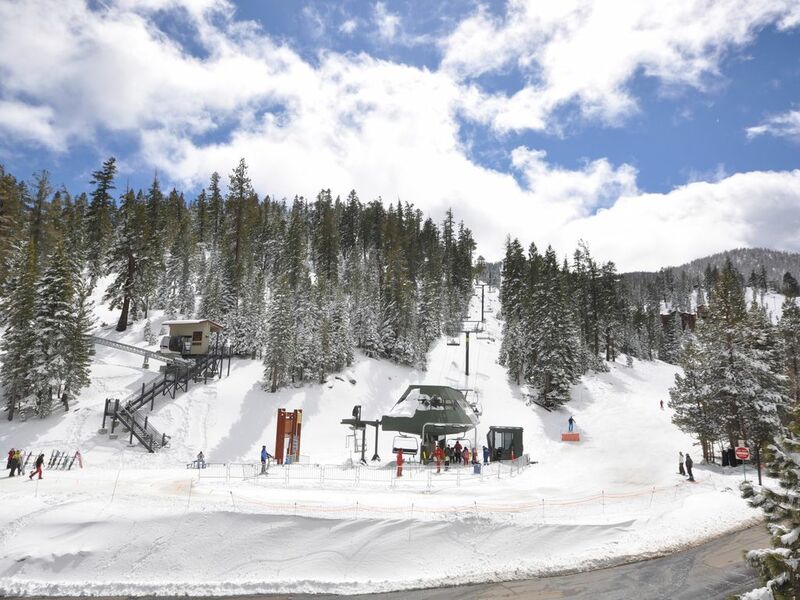 Stay in the best location possible in Heavenly Valley Ski Resort at the Stagecoach high-speed quad lift and lodge just steps away from the slopes and all mountain hiking/biking trails! Also a family room with a pool table and a hot tub on the deck overlooking the stagecoach run. You can’t get any closer to the slopes and hiking & mountain bike trails (Tahoe Rim Trail) at Heavenly Valley! At the slopes of course! But also the trail head for the famous 172 mile around the Lake: Tahoe Rim Trial! I brought my company of 12 people to this Heavenly home for a weekend team retreat. The house is nothing fancy but was very comfortable and had a lot to keep us entertained. The hot tub with views of the slopes was amazing after a long day of skiing. Being able to walk right onto the ski trail across the road from the house felt so luxe and convenient. Note that the trail in front of the house is the Stagecoach Trail and is a very short ski (on a light blue) to the Stagecoach Lift. Our only complaint would have been that it's hard to get large vehicles into the garage! We ended up parking one outside for most of the time. Overall, very comfortable, fun, and convenient! Amazing views and the perfect location. My friends and I enjoyed our stay at 460 B Quaking Aspen. Location, Location, Location! The townhouse was located right on Lower Stagecoach, so all we had to do was walk across the street and pop on our skis. Very convenient. We also enjoyed the hot tub, pool table and foosball table. Perfect for a guy's ski trip. Overall stay was okay, but upon arrival, we were given the wrong access code to get in and had to contact them for new information. Some other information in the check-in details didn't match either, wifi password was incorrect, there was only 1 garage door opener, etc. We didn't spend much time at the house as we were on the slopes, which the location was perfect. Great large cabin in a awesome location. You can literally walk across the street and snowboard down to the Stagecoach lift! Cabin was spacious and actually looked better than the pictures provided on the site. All of the equipment in the house seemed fairly new and in good working condition. Pool table & dart board were a plus. At the tail end of our trip, the weather got really bad with multiple road closures due to a blizzard and avalanche warning. Terri was gracious enough to allow the remaining stragglers to stay a lil while longer until it was safe to start the commute home. She was also pretty responsive on the Homeaway message app and booking was a breeze. Would definitely stay there again. We held a golf tournament with a large group and the house easily held 16 people. There was plenty of space in the house and you never felt on top of one another. The pool table and Jacuzzi were almost always in use. Parking was also plentiful and close to the house. Whenever we had questions about the house, Terri was quick to respond. The only issues we had with the house was the spotty WiFi service along with the BBQ being broken. Otherwise, we would highly recommend this house to anyone who wants to spend time in South Lake Tahoe in either the summer or winter. Great spot for large family gathering. Clean, comfortable and good amenities (pool table, hot tub and foosball all enjoyed). There is a hiking trail just down the hill a bit with amazing views. The kitchen is well-equipped & the separate fridge for drinks was very helpful for a large crew. For some people, the two flights of fairly steep stairs to enter the main living area could be a problem but our crew was all healthy and hearty. If you want to watch DVD's, bring your own--there are none. All in all, a great spot for a large group. WE HAVE A STRICT NO REFUND POLICY IF CANCELLED WITHIN 60 DAYS PRIOR TO ARRIVAL.